Recently on Helm’s Deep there has been a number of posts on affection and emotion, mostly in connection with Jonathan Edwards. 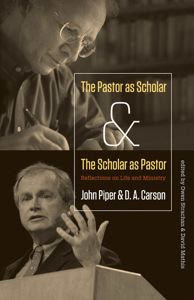 The other day I received from the publishers a complimentary copy of the new Piper & Carson book, The Pastor as Scholar, the Scholar as Pastor, at the request of ‘the author’. (I wondered, Which one? Is this a well-intentioned nudge, or sheer disinterested kindness?) Whatever the reason, I thank publisher and authors alike. Dr Piper’s Christian Hedonism (‘God is most glorified in us when we are most satisfied in him’) shares a good deal of the outlook of Jonathan Edwards’s view of the place of ‘raised’ affection in true religion which Helm’s Deep has recently posted on. There is an emphasis upon visibly expressed emotion, and upon truth as its basis. But more, I mean not only the emphasis on affection per se, and on exuberant emotions, but also the one-size-fits-all approach to understanding and characterising the Christian life. While for Edwards true religion consists much in holy affections, for Piper ‘God is most glorified in us when we are most satisfied in him’. He seems starkly to reveal the onesidedness of his outlook in those remarks about FFB. Piper’s mantra that ‘God is most glorified in us when we are most satisfied in him’ is either tautologically true or it is open to empirical test. If it is tautologically true then we may safely ignore it. If it is testable then (I say) it fails that test and is false. 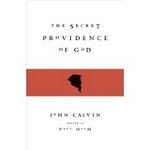 There are lives lived in which God is glorified, lives of self-forgetful service to God, in which the question of whether or not the person is ‘satisfied in God’ never arises. Behind Piper’s banner headline lies the same sort of misunderstanding about affection (or passion or motion) that we have found in Edwards. In brief, there are, I believe, two misunderstandings, one about passion, the other about experience. The misunderstanding about passion is to equate it with what Piper calls ‘discomposure’ and being ‘fully emotional’ and the aim he shares with Edwards ‘to raise the affections of our hearers.….in synch with what is true and in proportion to the nature of the truth.’ Time and again Piper privileges the affections over the will. For example he says, truly enough, that ‘the Devil, on some doctrines, is more orthodox than us – more correct than we are. But none of these doctrines, in the mind of the Devil, gives rise to any love for God, any worship of God, any delight in God…..So knowing right things about Jesus doesn’t automatically produce right affections’. (50) True. (Notice, like Edwards, the tendency to understand Christian virtues as emotions or affections.) But there is no mention of the fact that the Devil does not serve or obey God either. So distorting is this that Piper fails to appreciate than an academic who seeks ‘objectivity’ and whose attitude he excoriates may nonetheless be consumed with a passion for the exclusion of factors that distort his enquiries. The dispassionate is not to be equated with the passionless. To be dispassionate may be to be impassioned with the aim of not letting ‘raised’ or ‘full’ passions, or passions of any other kind, sway the judgment. Second, experience. Always, for Dr Piper, ‘experience’ is some awareness of what is happening in a person. In this sense of experience, what such a person experiences is always worth talking about, and can be talked about. FFB is inhibited from this practice, caring not to talk about himself in this way, in the way of Augustine or Bunyan, though he is not laying down the law about this. He takes the view, evidently, that for him some things are too deep for words, and other things are simply not for public consumption. As Augustine memorably said, there are actions that are fitting in the bathroom that are not fitting in the lounge. 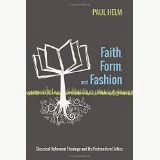 In support of his autobiographical approach to the Christian gospel Dr Piper quotes Paul. But in the cases he cites, except perhaps one, Paul is focusing his attention on what happened to him, to public events, - ‘affliction’…’struggle’…’what happened to me’…and in one case, to his personal reaction. Elsewhere Paul also refers to the unspeakable, the ineffable, the unlawful. There are some matters that are not simply too deep for words, but too great for words. And Paul regularly urges on his readers not the cultivation of emotion, but the growth of virtue. The alternative to adopting Piper’s hedonism is not to become Stoics. Augustine said: I refute Stoicism with two words: ‘Jesus wept’. We ought not to confine the shape of Christian character by a definition that focusses exclusive attention on passion, but to recognise the part to be played by every mode of the full human personality – not the understanding and the felt affections alone, but also the will and the virtues.